The Crazy Horse family members Floyd Clown, Doug War Eagle, and author William Matson will be available to meet and sign their book Crazy Horse: The Lakota Warrior’s Life and Legacy in several locations. Find out more about the book. They will be exclusively in the ~Pacific Northwest from Oct 27-Nov 18. 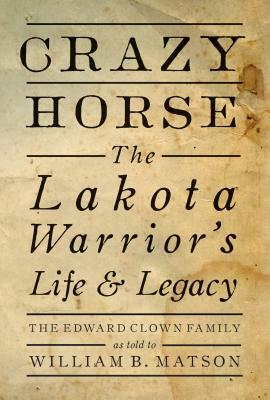 The Crazy Horse family’s oral history had not been told outside the family for over a century. Now it is ready to be told by Clown, War Eagle, and Red Thunder who are the son and grandsons of Edward Clown, who was the nephew to Crazy Horse and the keeper of the sacred bundle and pipe for the family after his mother Iron Cedar passed away. Their book includes what they know about one of Montana’s biggest events, the battle of the Little Bighorn including who killed Custer, how he was killed, and what happened to his missing index finger. It also contains additional history that pertains to Montana. 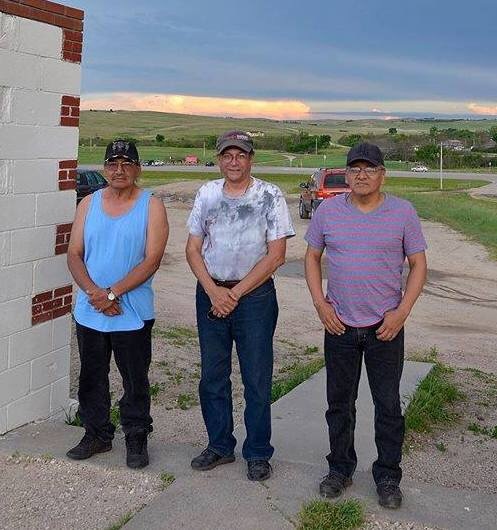 Clown, War Eagle, and Red Thunder currently live in Dupree, SD on the Cheyenne River Reservation. Matson, a documentary film maker, currently resides in Spearfish, SD but is originally from Tacoma, Washington. This is Matson’s first book. William Maston has produced and directed an award-winning video, Sitting Bull’s Voice, as well as the two-part video series, The Authorized Biography of Sitting Bull by His Great-Grandson, and the four-part video series, The Authorized Biography of Crazy Horse and His Family. He regularly speaks about these videos and their content at film festivals and has been working with the Crazy Horse family since 2001 to tell their story. 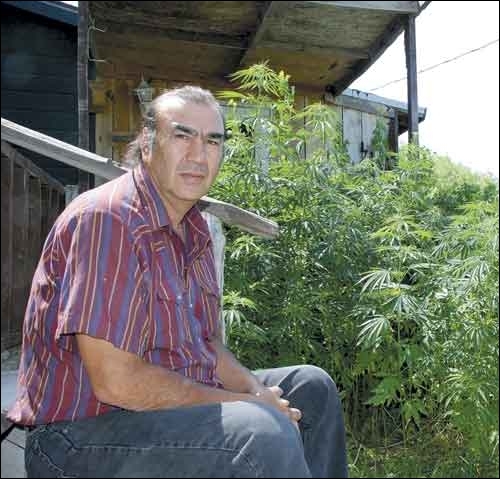 Politics for the Lakota is spiritual and is not separate from the rest of life. Tiokasin Ghosthorse is also a master musician and one of the great exponents of the ancient red cedar Lakota flute, and plays traditional and contemporary music, using both Indigenous and European instruments. He has been a major figure in preserving and reviving the cedar wood flute tradition and has combined “spoken word” and music in performances since childhood. Tiokasin performs worldwide and has been featured at the Cathedral of Saint John the Divine, Lincoln Center, Madison Square Garden, the Metropolitan Museum of Art and at the United Nations as well as at numerous universities and concert venues. His words of Indigenous insight and global concern are offered though the experience of “one Lakota living in one world”. 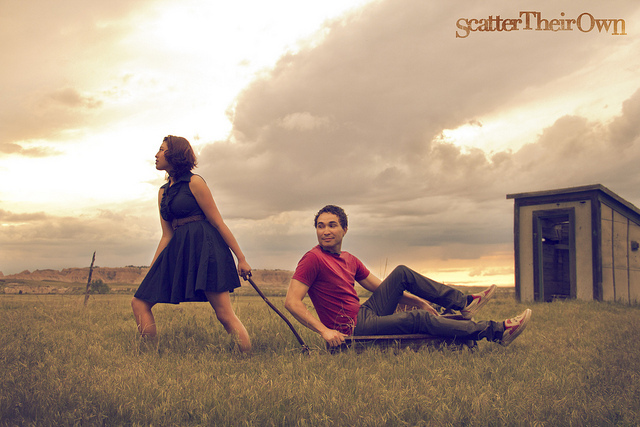 SCATTER THEIR OWN, Scotti Clifford and Juliana Brown Eyes-Clifford, are an Alternative Rock Duo of Oglala Lakota ancestry from the Pine Ridge Indian Reservation of South Dakota. Scotti Clifford has performed across the U.S. and Canada as a Vocalist, Back-up Vocalist, Bass-Player, Drummer, and Guitarist. But now the Singer/Songwriter/Guitarist fronts the duo with Bassist/Rhythm Guitarist/Backup Vocalist Juliana Brown Eyes-Clifford. Scatter Their Own, lyrically, pays tribute to the concepts and philosophy of their Lakota culture while fusing Alternative Rock and Blues into what they would like to call Alter-Native Rock and Roll. They believe that their music celebrates Grandmother Earth. Scatter Their Own have been definitely building a loyal fan base nationally. They have been up and down the West Coast from Seattle to Los Angeles touring. Over the past two years, STO has also toured the Southwest, the Midwest, and have also done shows in Canada. They will soon be announcing a Spring Tour, as well as select summer dates in support their of new album “Taste The Time,” available March 11th, 2014.